Curtis Sittenfeld is an auto-read author for me. I didn't even read the blurb from the publisher until just now and, yes, You Think It, I'll Say It is all of the above. She is MASTERFUL. I think this just tied with Prep for my favorite of her books. Short stories are not usually my jam. I love great plot, and I feel that short stories can be unsatisfying in that regard and oftentimes abrupt. Leave it to Sittenfeld to change my tune about short story collections. Each story is certainly self contained, yet there is an underlying similarity that underpins them all. She examines the minutiae of everyday life and our inner turmoils and turns the ordinary into extraordinary with her unique brand of crazy storytelling. Most of the narratives revolve around women in their early 40s (my and Sittenfeld's age) and are so identifiable to me, but should really be to anyone. 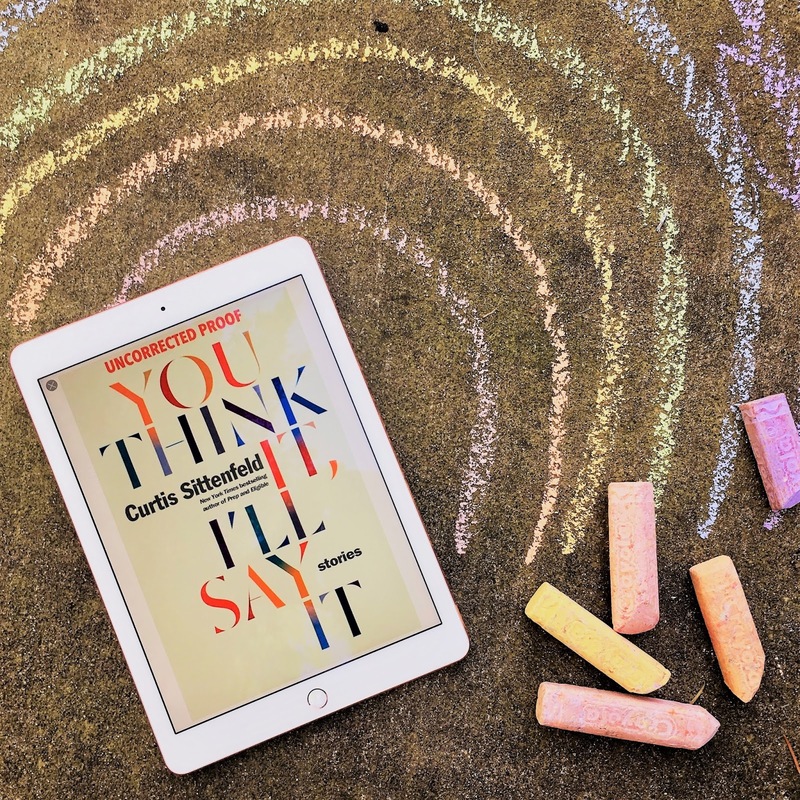 She tells some stories from the man's perspective, reminisces about high school love and politics, newlywed dynamics, first babies, and even a trip to summer camp run the gamut of experiences that will probably spark a feeling of empathy from any reader. Until they are NOT empathetic - characters id's and ego's start to go off the rails and she examines them in a deliciously scandalous way. I couldn't put it down! From stories about college friends, one night stands, social media woes, mommy wars, she touches on all things we can relate to and then takes them in such unexpected ways. I am praying that she comes to Seattle on book tour so that I can get myself a signed copy and ask how many ideas germinated from real life experiences. Though the stories are completely strange, they appear to fall into the stranger than fiction category. Did she meet a lifelong friend in a lactation group? 'Bad Latch' was one of my favorites and I love how the dynamic of female friendship felt so real. Did she ever interview a celebrity ingenue? 'Off the Record' seems like a celebrity blind story. Does she know something about The Pioneer Woman that we don't know? 'The Prairie Wife' feels like a fun and shocking fictional take of such a celebrity. If I haven't made it abundantly clear, this book is phenomenal and you should run right out and get it for some stellar summer reading. Thank you SO MUCH to Random House and NetGalley for an advance copy in exchange for my honest review! I feel that I should preface this review with a full disclosure that I have a great amount of love and nostalgia for Las Vegas. I first traveled there with my mom for my 21st birthday many years ago (over two decades, gah) and going once or twice a year thereafter for at least ten years. I remember visiting several of the hotels featured in the novel, most which no longer exist. It's not high on my travel priority list anymore, but I think on it fondly and love most things associated with the City of Lights. Esme is a powerful narrator with a distinct voice. Sharp renders her with such strength and courage, while being one of the most tragic characters I've read in a long time. A dual timeline is employed to great effect, slowly gathering tension towards the conclusion of her mother's story in Hollywood during Esme's childhood, and the conclusion of her own story in Las Vegas as a young woman. I found myself more engaged with Esme as an adult in Vegas. Although I am a fan of old Hollywood historical fiction (see also: Beautiful Ruins , The Seven Husbands of Evelyn Hugo and films like L.A. Confidential ), the Hollywood storyline is centered around Esme's parents and upbringing which are both deplorable. The early part of the novel focuses heavily on this period, so it took awhile to warm up. 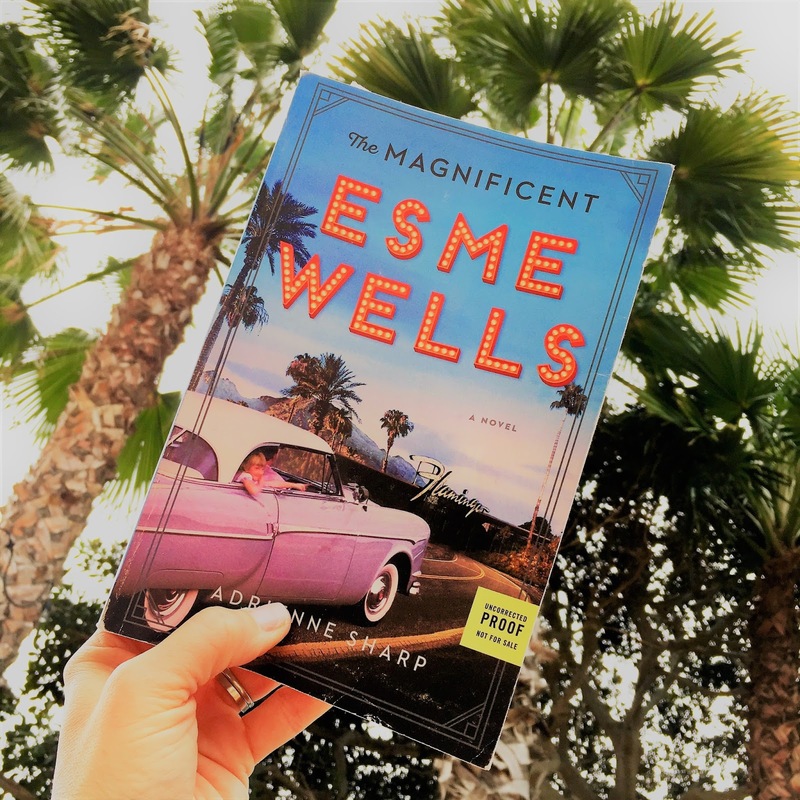 Once things turn more towards her coming of age, and the crises Esme faces during the fascinating coming of age of Las Vegas, I began turning the pages in rapid succession, desperate to learn of her fate. "I didn't know yet how these men were protective of little girls but preyed upon them when they grew up. But you couldn't stop growing up. The transition from girlhood to womanhood turned on a pivot. One day you were a child and then, all at once, you weren't." Esme's narration feels almost as if she is an outside observer to her own life. One could take that as detachment, but I thought that it lent even more empathy towards her character because she was clearly not in control of her life for much of the novel. And many of the circumstances in which she had to bear witness were so tragic that her detachment can be seen as a defense mechanism, the most pivotal of which is disclosed near the end of the novel and it brought tears to my eyes. Overall, it was darker than I had anticipated, yet a mesmerizing read. Many thanks to the great people at Harper Books for sending me an advance copy in exchange for my honest review! Ughhhh. Just. Ugh. This was so scarily eye opening about where, and how, money has been spent over the last forty or so years to push the far right agenda, despite the majority of Americans polling progressive. Campaign financing barely factors into this massive web of tax shelters, secrecy, infiltrating universities and think tanks full of 'alternative facts' in an attempt to shift our culture by those who have wealth beyond imagining. I felt quite ill listening this one on audio. And although it was a little dry, all citizens should be aware of the actions of these people and the effects on our society (mainly the Kochs, but now I know even more about Betsy DeVos, which is gross). You can read my full (favorable!) review here. This was just ADORABLE. It felt like a well written, literary version of The Goonies, but set in NYC with a troupe of adorable siblings in lieu of a gang of best friends. No pirates either, just a mysterious and grumpy landlord who lives upstairs, never leaves his home and decides to terminate the Vanderbeeker's lease. Glaser creates a vivid picture of the 141st street neighborhood and it's inhabitants. It comes together with a lot of poignancy and heart. I also think it'd be a great read to please a lot of ages, as there's something for everyone with the characters ranging in age from toddler to teen. 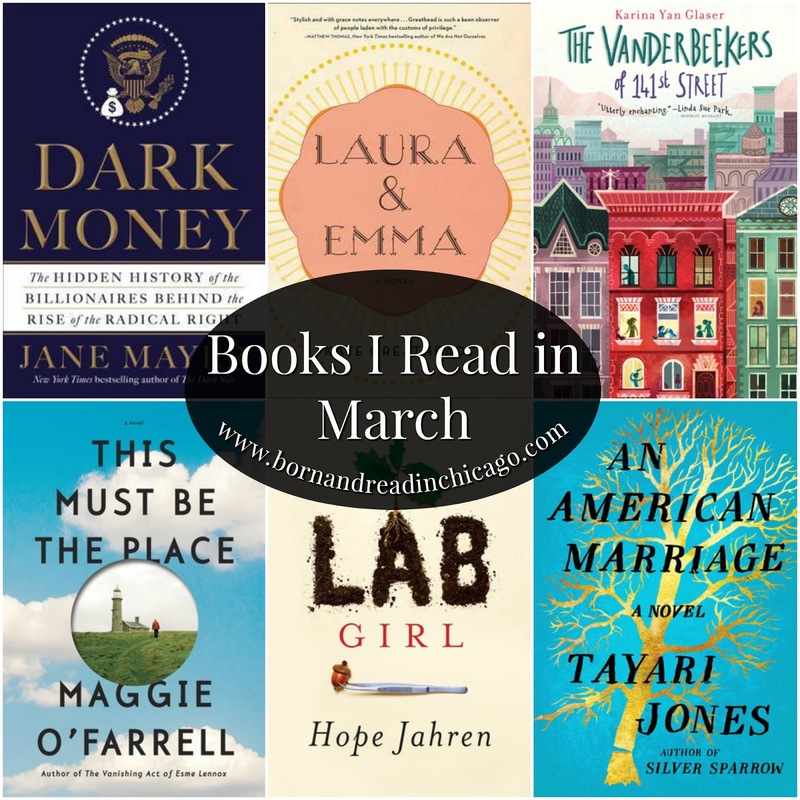 O'Farrell's memoir I Am, I Am, I Am is on my 'to be read' list, but I wanted to check out her fiction first - and I'm glad I did. This novel was completely up my alley, like a puzzle to piece together: full of family drama, with multiple narrators and settings, that jumps around in time. The short version is that it is a romance between Daniel, who is divorced and estranged from his children, and Claudette who is a former movie star who escaped to anonymity in rural Ireland. Yet it is a complex tapestry of the lives of their children, exes, friends, siblings, and parents. Each character has his or her own compelling story that leads to Daniel and Claudette. It did get rather confusing at points, and I'd have to stop and gather myself to remember who was who. But I loved threading the story lines together and seeing the full and beautiful picture come together in the end. This was lovely, and I can't wait to read all of her work. This was another audiobook and, though I am picky about audio, it was a perfect choice for listening. I love when books are read by the author, and you can hear the tears as well as laughter in Jahren's voice as she conveys her gorgeous prose. Not what I was expecting for a nonfiction work about a scientist. Alas, her use of plants as metaphor for the human experience is a wonder: from Sitka trees, cacti, creeping vines and moss. I feel as if I can relate to them all, and especially her sidekick Bill. Their dry humor and witty banter, from her point of view, is a delight and a beautiful tribute to their friendship. And, yes, I also learned about the struggles of the science community and about the science of plants. I really do feel the urge to plant a tree as soon as possible. I picked up a signed copy of this one when visiting Parnassus books in Nashville, so it will always have a special place in my heart! It starts off with a terrible incident that rips the two main character's marriage apart and then goes into a slow burn of introspection on their relationship, family and upbringing as their lives diverge. Then the last third or so of the book builds to a near heart stopping conclusion. Seriously, I was so stressed to see how things would conclude between Roy and Celestial. It's an emotionally heavy story about the realities of love and marriage that had me absolutely captivated.